Jeff Crosby is an organizational leader who loves connecting authors and their ideas to thoughtful, engaged readers throughout the world. He is Publisher at InterVarsity Press, a Chicago-area company where he has worked since January of 1998. 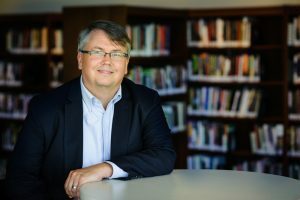 Previously, he was executive director of the Association of Logos Bookstores and served as a vice president of sales with Ingram Book Company in Nashville, Tennessee. His writing has appeared in Books & Culture, Conversations Journal, Marriage Partnership, Englewood Review of Books and book industry trade journals including Publishers Weekly. He is the editor and compiler of Days of Grace through the Year, a collection of meditations drawn from the work of Lewis B. Smedes, published in 2007.